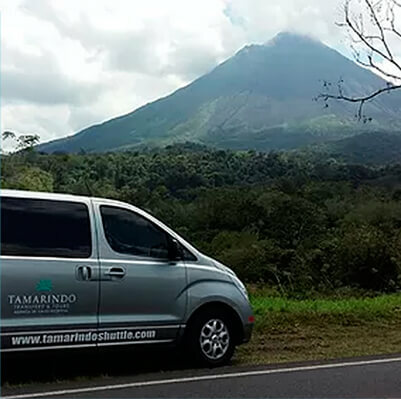 If you’re up to the most comfy vacations, our private transport service may be the way you prefer to move all along the best destinations in Costa Rica. It is safe, convenient and flexible, all up to your preferences. All the vehicles for private transportation have A/C, wifi and are driven by a totally reliable costa rican professional. Being a private transport it’ll allow you to have time to enjoy a meal, check out the view, take pictures and of course, take bathroom breaks. Note: Please look for your confirmation email in your spam/junk folder if you don't see it in your main inbox after 24 hours. To secure your reservation we require you to provide a CC # with expiration date (Credit card number and expiration date) (Visa or Master Card ONLY). Please note the cc information is used only to hold the reservation and will NOT be charged unless you don't show up at the confirmed time. By submiting your information you agree to our terms and conditions. Please take a look at our Terms & Conditions.